Wine Paths has signed partnerships with renowned international wine & spirits merchants. Our wine merchant partners provide wines from a selection of the wineries featured on Wine Paths. Visit our partner sites to discover their range and wine references available. Altaya Wines was established in 2001 by Paulo Pong as a boutique wholesale wine merchant providing service primarily to private clients. Today, Altaya Wines is a full service wholesale company providing services to both private and trade customers ranging from wine list selections, consultation, menu pairing to export and wine investing. Altaya Wines has one of the most extensive rare and fine wine selections with over 6,000 references from the best vineyards across the globe. As an exclusive agent to over 90 internationally-acclaimed brands from Bordeaux, Burgundy, Alsace, Rhone Valley, Italy, Spain, Portugal, Scotland, New Zealand, Australia, South Africa, Austria, Argentina, and the United States. Since 1987, when it was founded as the first wine and spirits merchant in Korea, A-Young FBC (Allied Young Fortune Brands Company) has introduced many high value and quality brands. The company also contributes to the development of the wine and spirits industry in Korea by running a wine academy & bartender academy. Founded in 1698, Berry Bros. & Rudd is Britain’s oldest family-owned wine and spirits merchant. With two Royal Warrants, more than 300 years of history and six Masters of Wine, they have a world-class reputation for exceptional wines and spirits. Although hundreds of years old, Berry Bros. & Rudd remains at the forefront of wine innovation. The current range of more than 4,000 wines is sourced from over 25 countries, from the traditional – France, Italy and Spain – to the less traditional – Brazil and Moldova, as well as an impressive range of spirits. IWS is the number one independent distributor of wines and spirits in Thailand. We have been in the wine and spirits business in Thailand for more than 19 years. We proudly present our quality wines & malts under the name Q Wine. We also manage the wine and spirits shop at Takashimaya in Icon Siam Shoppingmall and Major Cineplex –Ekamai and Paseo Mall-Ladkrabang. You can find some of the worlds most loved wine brands in our portfolio from all the famous wine producing areas of the world. We take the best care of our products like we produced them ourselves. We have a passion for wine and spirits. on Manhattan’s Upper East Side, in NYC. The Pieroth family started their first overseas venture in Japan in 1969, when Elmar Pieroth conducted test sales for a week in Tokyo and finally established its own company in 1974: Pieroth Japan K.K. Today Pieroth Japan imports over 1,600 wines from 16 countries to satisfy the ever increasing and diversified demands from its sophisticated and knowledgeable private consumers and business clients. The 3 main divisions include Direct Sales - (B2C), Restaurant & Trade (B2B) and the World Wine Bar by Pieroth. The three smaller divisions include phone sales, mail order sales and internet sales. ROUGE Brasil, a wink to the famous book by Jean-Christophe Ruffin, is a fine wines import and distribution company based in São Paulo, specializing in direct sales to individuals. It was created in 2013 by Mathieu Péluchon, a Bordeaux native, Brazilian at heart and by adoption, who has been contributing to the promotion and recognition of the wines of Bordeaux for over 20 years and is a key ambassador of the great Bordeaux wines in Brazil. Germany's oldest fine wine trader. The Tesdorpfs, a family of long-established Hanseatic traders, founded “Weinhandel zu Lübeck” in 1678 – the birth of the first fine wine trader in the country. Until this very day the company is the premier address for fine wines in Germany, noted for its immense wine expertise and for its daily “mission to promote good taste”. Vinum SA is the Swiss agent of the prestigious Baron Philippe de Rothschild, and it is recognized on the market as a key player in Bordeaux wines. With more than 1 million bottles in stock, they specialize in importing the most prestigious and rare wines from around the world. Where would you like your wines and spirits delivered? The online travel guide by Air France now features select luxury wine tours by Wine Paths. The first 4 destinations we have covered are Champagne, Cape Town, Mendoza, and Tuscany. 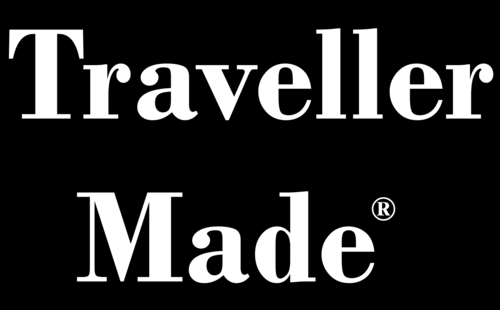 Wine Paths is a member of the luxury travel network Traveller Made specializing in bespoke travel. Our exclusive wine, spirits, gourmet food and cultural experiences are featured in the preferred experiences. The 1855 Classification was created to present the most famous Bordeaux wines at the Paris Universal exhibition. The responsibility for drawing it up was given by the Bordeaux Chamber of Commerce to the "Bordeaux Trade Brokers". The idea was to establish a classification based on many years of trade experience, which was the recognition for each estate of its Terroir and reputation. Information, of course, came from the most reliable sources. Grandes Pagos de España (GPE) is an association of Spanish wine producers dedicated to the elaboration of single estate wines of the highest quality. Comitato Grandi Cru d'Italia was founded in 2005 to protect and promote the prestige of the Italian wineries that have been producing great wines for at least 20 years. Ultimate Winery Experiences Australia® is a hand-selected collection of premium, award-winning wineries offering unique wine experiences based around world class wines, warm and knowledgeable hospitality and culinary excellence. 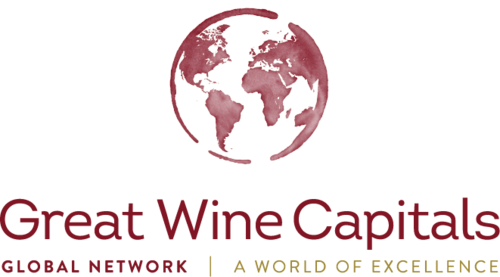 The Great Wine Capitals Global Network is an alliance of internationally renowned cities, which share a key economic and cultural asset: their and wine regions.